We see the look on the faces of our new clients when we mention custom accessories. It seems as though accessories are the only appropriate “one size fits all” component of a suit, but that couldn’t be further from the truth. 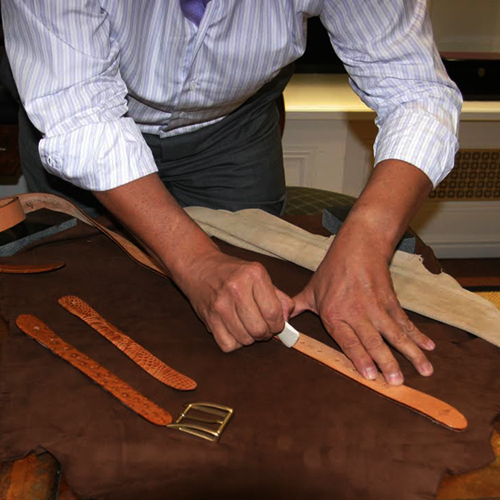 We create ties to reach the precise length, and have the appropriate width according to our clients’ bodies and style, and we make sure that each belt is cut to rest in its intended belt loop. Aside from functionality, custom accessories also give us the option to have limitless possibilities when it comes to adding a special touch to your outfit. Our vast inventory of Silk and Cashmere Material blankets for Neck Wear and skins and leather for Be allows us and our clients to be as creative as possible – there are no boundaries when you are choosing custom accessories.